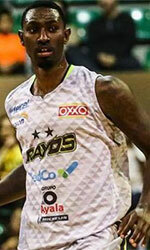 Aragatz (League A) agreed terms with 31-year old American swingman Watkins Williams (194-87, college: Siskiyous JC). He played last season at Al Ittihad in Saudi Arabian SBL league. Williams managed to play in three leagues in three countries last year. He also spent pre-season at Al Rayyan (D1) in Qatari league. The other team Williams played shortly was Byblos Sporting Club (LBL) in league where in two games he had 13.5ppg and 2.0rpg. Another team he played briefly was KACM Kawkab de Marrakech (D1) in Moroccan league. In 7 games he recorded 11.0ppg, 2.9rpg and 1.0apg. Another team Williams played temporarily was Maree (Super League) in league. In 7 games he averaged 11.1ppg, 2.9rpg and 1.0apg. 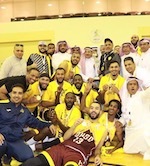 The list of the past achievements is quite long as among others he was named to Asia-Basket.com All-Gulf Club Championships 2nd Team in 2018. Williams has played also professionally in Germany (Herford). He attended College of the Siskiyous until 2007 and it will be his twelfth (!!!) season as a professional player.